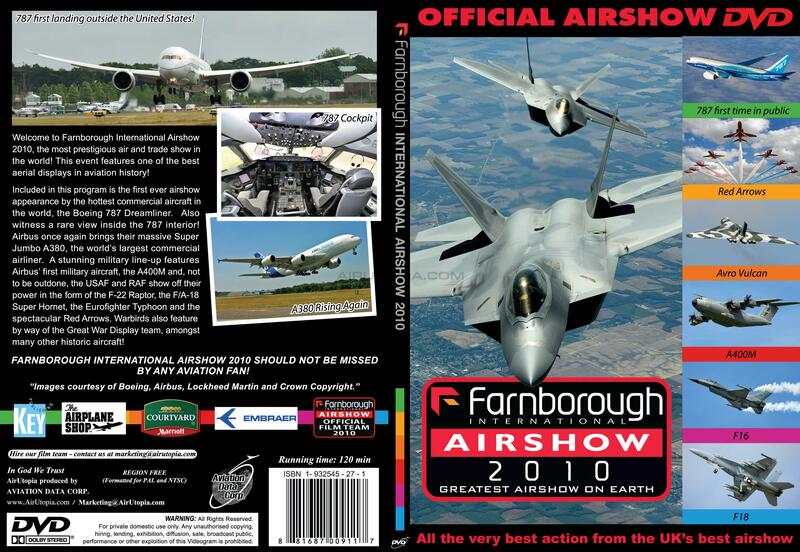 Welcome to Farnborough International Airshow 2010, the most prestigious air and trade show in the world! This event features one of the best aerial displays in aviation history! Included in this program is the first ever airshow appearance by the hottest commercial aircraft in the world, the Boeing 787 Dreamliner. Also witness a rare view inside the 787 interior! Airbus once again brings their massive Super Jumbo A380, the world’s largest commercial airliner. 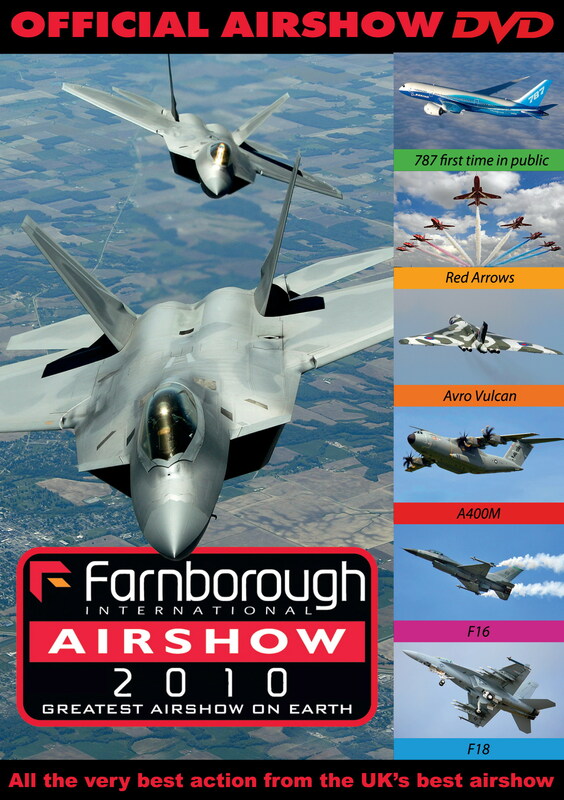 A stunning military line-up features Airbus’ first military aircraft, the A400M and, not to be outdone, the USAF and RAF show off their power in the form of the F-22 Raptor, the F/A-18 Super Hornet, the Eurofighter Typhoon and the spectacular Red Arrows. Warbirds also feature by way of the Great War Display team, amongst many other historic aircraft! 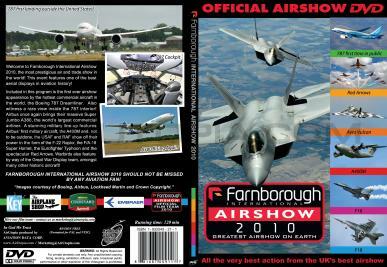 FARNBOROUGH INTERNATIONAL AIRSHOW 2010 SHOULD NOT BE MISSED BY ANY AVIATION FAN!